What’s going on in Palo Alto? All year long, residents of Palo Alto and neighboring communities have a full plate of special events and attractions to keep them busy. The Palo Alto events calendar below contains everything from music and cultural festivals to fabulous art, food, wine and much more. Get some friends, make a date and go have some fun. The City of Palo Alto and other sponsors present free Saturday evening concerts during the summer. Enjoy local and national band performances at venues such as Rinconada Park, Mitchell Park and on California Avenue. One of the most popular listings on the Palo Alto events calendar, the series typically is held in June, July and August. For information on the next round of concerts, call the City of Palo Alto at (650) 329-2100. There’s always something amazing to marvel at each year on “Christmas Tree Lane.” The “lane” is actually a section of Fulton Street off Embarcadero Road, where since 1940 residents have been gloriously decorating their homes and trees. 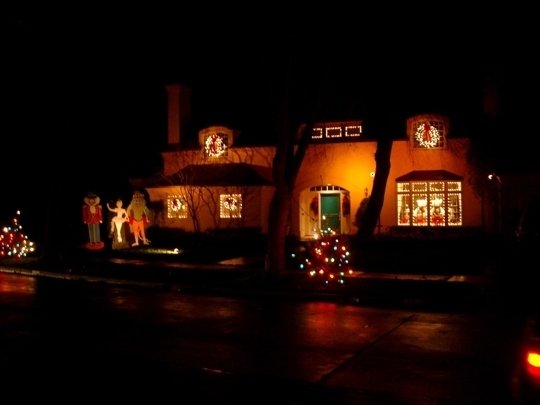 It’s a spectacular sight that happens each year from mid-December through the end of the year. Lights are on from 5-11 p.m. Check out ChristmasTreeLane.org. Fresh, seasonal produce abounds at the Palo Alto Farmers’ Market every Saturday between May and December. The market is open from 8 a.m. to noon, rain or shine. Located at Gilman St. and Hamilton Ave. Get a lot more information at the market’s website. Everybody has fun at Palo Alto’s annual Independence Day party. 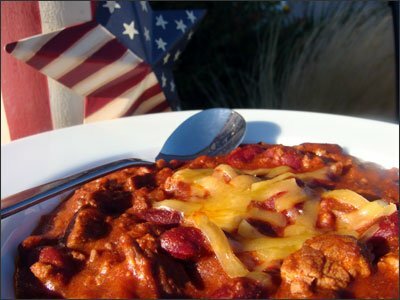 Teams compete in the chili cook-off to see who can make the tastiest recipes. There’s also lots of music and activities for children. Held at Mitchell Park. For more information, call (650) 463-4921. Palo Alto’s annual Summer Symphony is a one-day event, typically held on a Sunday in mid-July. It’s a great way to spend a summer evening and help support a worthy charitable organization. Call (650) 617-3859 for more information. This annual fair happens in May and features Russian cuisine, wine, art, entertainment and a full list of activities for kids. Usually held on a Sunday at Terman Middle School. Sponsored by the Albert L. Schultz Jewish Community Center. Call (650) 493-9400 for more details. Art, food and wine are the backdrops of this exciting annual festival held on Saturday and Sunday in August. There are plenty of booths for attendees to browse. Proceeds benefit the Palo Alto Chamber of Commerce. To learn more about the festival, call the chamber at (650) 324-3121. 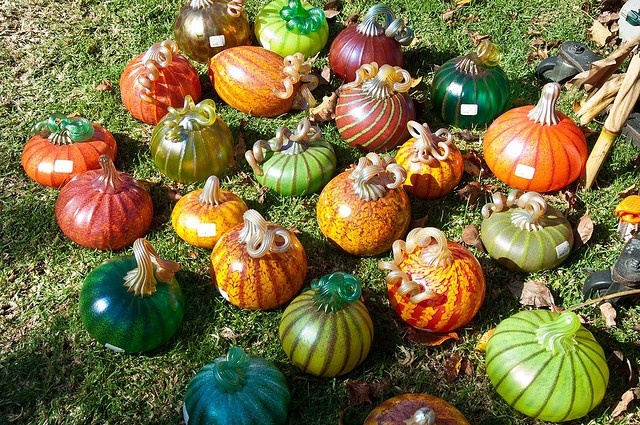 Here’s a chance to see thousands of unique hand-blown glass pumpkins at a special annual event that benefits the Bay Area Glass Institute and the Palo Alto Art Center Foundation. Contact the art center for more information at (650) 329-2366. Attend a full schedule of exciting performances from Palo Alto’s own opera company. The season runs from October through May. Upcoming performances include Rigoletto, Yevgeny Onegin and Madama Butterfly. Shows are held at the Lucie Stern Theatre. Check out the West Bay Opera website for more details. Also at the Lucie Stern Theatre is the annual season of performances from the Palo Alto Players, the city’s community theater ensemble. Shows are staged September through June. 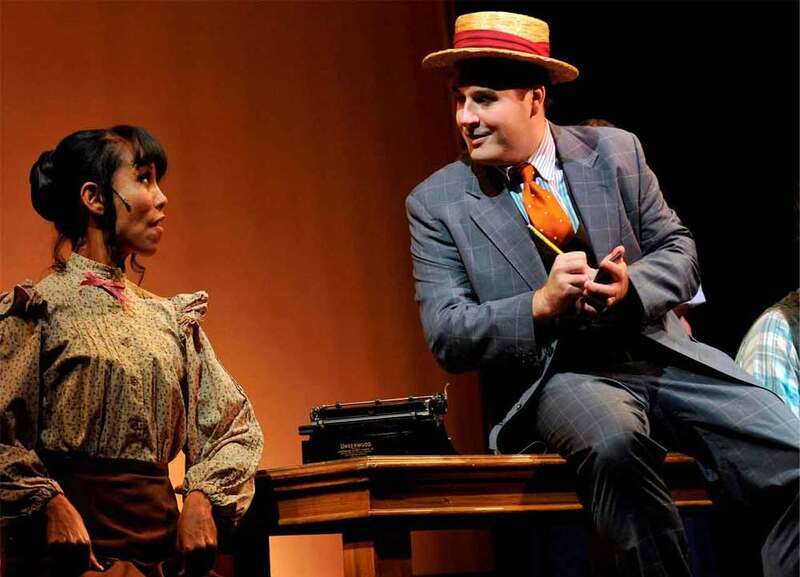 Get a full listing of upcoming performances at the Palo Alto Players website. Here’s a one-of-a-kind opportunity to add to your Palo Alto events calendar: a chance to witness live elephant seals in their natural habitat at the Ano Nuevo State Park. Guided tours last 2.5 hours and are held between December and March. For reservations, call (800) 444-4445. Call (650) 879-0227 for recorded information. This annual festival features a full day of celebration with art, Jewish music, dancing, food and more. Held on a Sunday in September at the Albert L. Schultz Jewish Community Center. Call (650) 852-3506 for more information.